Day 2 was quite like the first day of the competition, with wind that started blowing correctly by 11h30 and let us validate the second group of the Round 4. We managed to validate 2 more rounds after that, and one could not be finished by 5 pilots. At the end of that second day, 6 valid rounds, fog and rain that let us leave the slope by 5PM so we could get ourselves clean before the Banquet at the restaurant ‘La Margueria’ in Tende. This Dinner was also hosting the lottery from the French F3F World Championship Team. A live feed broadcasted the draw while pilots were enjoying Fresh made Socca. Last day of the competition permitted another 3 last rounds from 11.30 to 2PM. The organizing team and judges decided to stop the competition, as the rain was clearly visible in front of the slope, not letting any more valid round to be made. All planes were packed while the judges put away the equipment and computed the results. An error actually was made while typing the results for Sebastien Lanes on round 8, who did a 43 and not a 48sec. Complete results are available on F3XVault. Winner for this 2018 Edition is Pierre Rondel, followed by Sebastien Lanes and Matthieu Mervelet (all members of the French WorldChamp Team). Team Ranking goes down to MMP, AL LANes Team and Styria. Prize distribution was made under showers comparable to the one in Moscow for the World Cup finals…. I have to admit I was totally soaked! 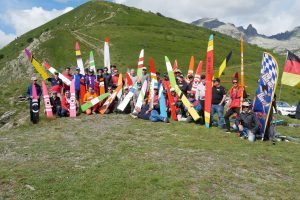 Many thanks to all the Sponsors for this competition: BlueBird Servos, Lindinger, Region PACA, Restaurant La Margueria, Hotel du Centre, the city of Tende. 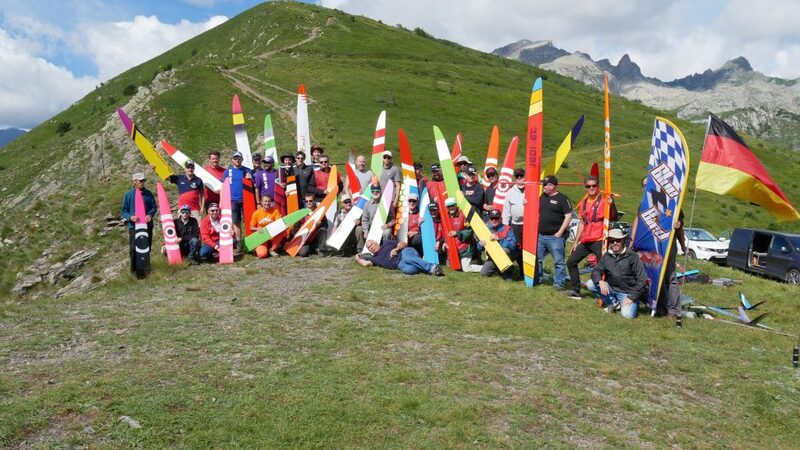 Very Special Thanks to the judges, my great small team of pilots and friends who spent their days without flying, always there, motivated, concentrated and devoted to the pleasure of the competitors.Eric, Paul, Manu, Etienne: Without you, nothing could be done! You are the BEST!